Dean Ambrose was sidelined with a tricep injury earlier this year when it was revealed that he would need surgery, but the former World Champion was able to overcome this injury to return to the ring last month. Despite returning from the injury in the allotted time, Ambrose recently revealed that his injuries were much worse than first thought. Dean Ambrose is a former World Champion and on Christmas Day, he was supposed to win back the Tag Team Championships with Seth Rollins, but because of his injuries, he was instead replaced by Jason Jordan. Ambrose was then spotted a number of times in Birmingham Alabama where he was undergoing rehab for his injuries but the full extent of the damage wasn't revealed as the WWE Universe began to speculate about an early return to the company. 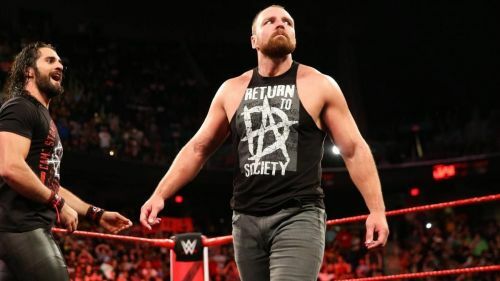 Dean Ambrose recently spoke to TheMonitor.com about coming back from his tricep injury where he revealed that the injury was so bad ahead of his first surgery he actually almost died. "It’s good to get back out in front of people. I had a lot of frustration I needed to really get out that built up over the last eight months. It was a long, long period of time. Much longer than would have been anticipated. The former World Champion also revealed that his injury progressed to the point where he was picking up a number of hospital infections as well. "It was just one nightmare after another. It was a pretty challenging period of time to go through. I ended up having two different surgeries. I had this MRSA, Staph infection. I nearly died. I was in the hospital for a week plugged up to this antibiotic drip thing, and I was on all these antibiotics for months that make you puke and crap your pants." Dean Ambrose has been able to make his return to the ring in recent weeks and now teams with Seth Rollins at Hell in a Cell this weekend where he could pick up the Tag Team Championships once again. Where is Dean Ambrose going after leaving WWE?